Released in the press this weekend ‘Escape Your Virtual Life’. 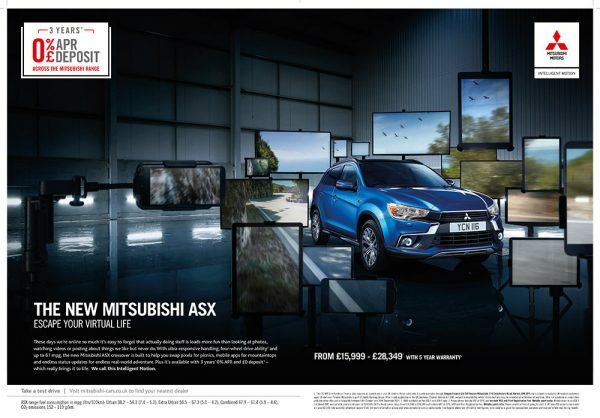 The latest ad campaign for the new Mitsubishi ASX, encourages viewers to get off their screens and experience more of the real world! 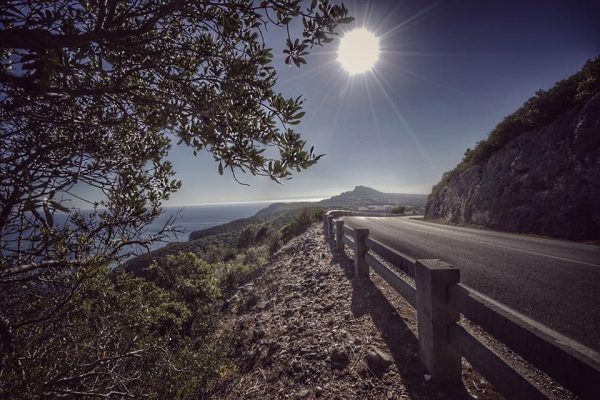 We started shooting on location in Portugal back in September, capturing the road & seascape seen on the screens. My Instagram & Facebook followers may recognise this BTS picture during the scout. 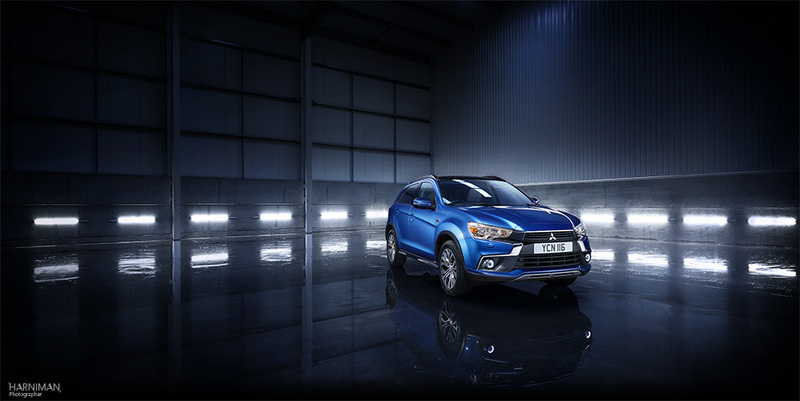 Through to shooting in a real warehouse location back in blighty for the interior environment and hero car. 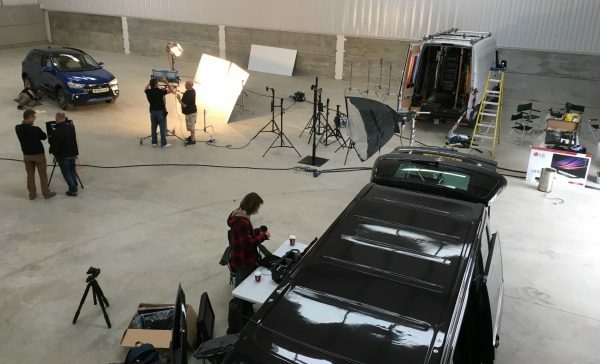 So a couple of weeks later in the UK , we shot the car and each phone, tablet, monitor, TV etc…against the graphic interior. 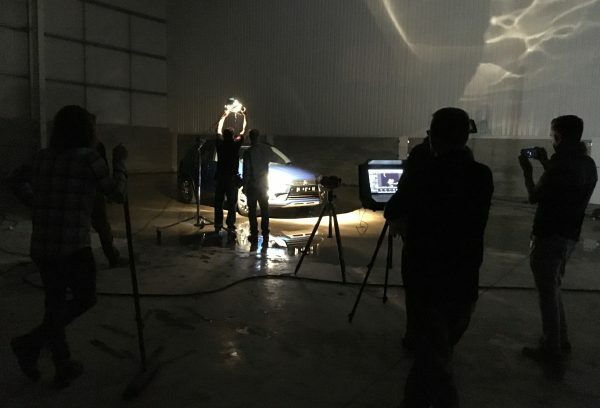 A great team effort as always – client, agency, the location lighting guys…assistants keeping the floor well watered to give us the reflective surface we needed. And of course Phil! Look out for the press ad in print, on digi boards, billboards and online. And if you spot it when you are out & about, ping us over a snap! 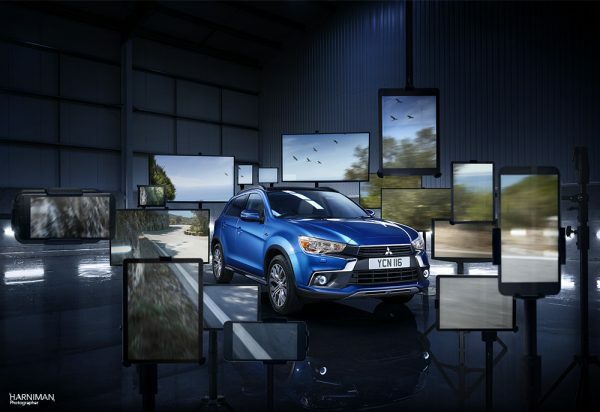 The TVC is airing now, so look out for it in the ad breaks or take a look now on Mitsubishi’s YouTube channel.